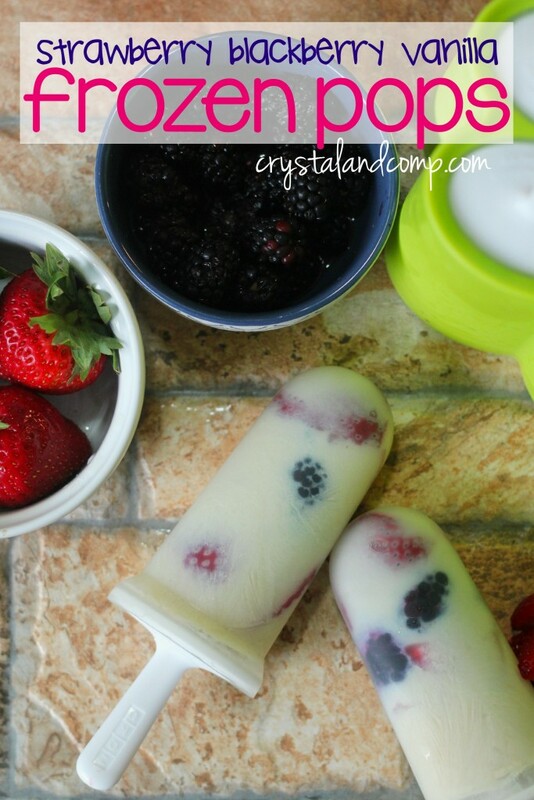 Here is the easiest way to make fruit popsicles at home. 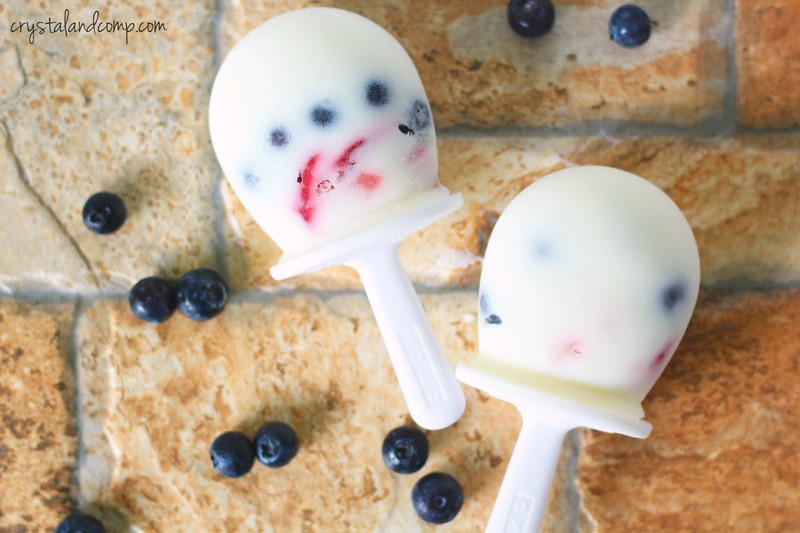 We made these red, white and blue using fruit and yogurt. These are perfect for any summer star spangled celebration. 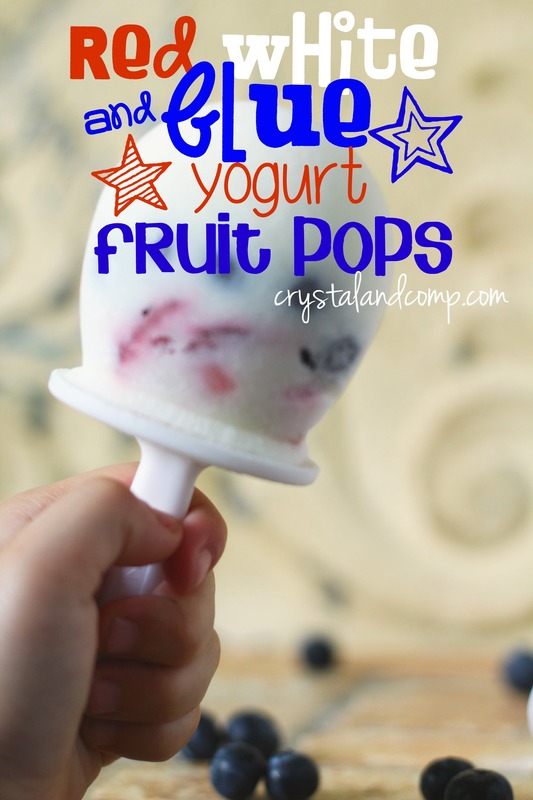 They make a great afternoon summer snack and they’re good for you too! This will make 4 pops. Gather up your supplies. 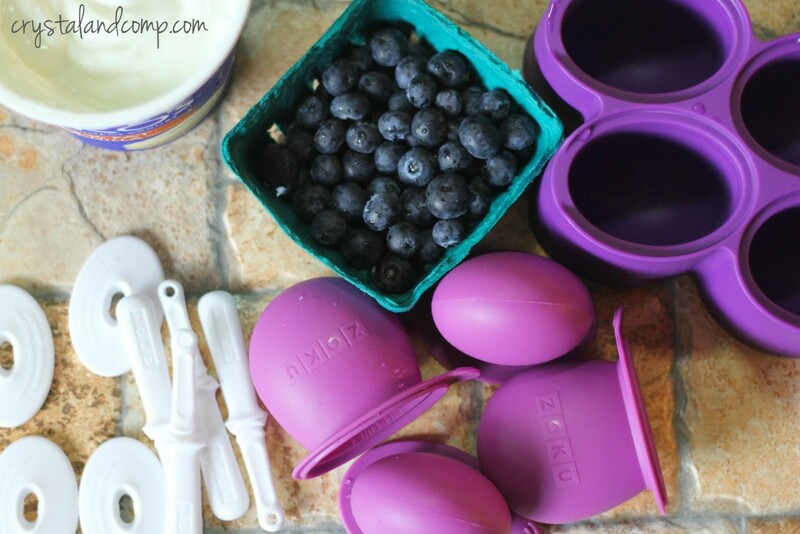 I am in love with these round pop molds from Zoku. I have never seen anything like them before with their silicone covers. Super cool! Place the silicone molds into the mold base. 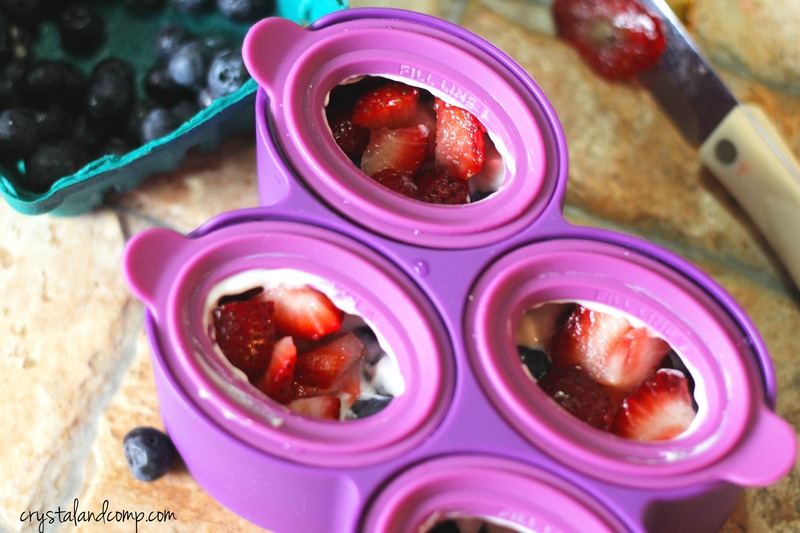 Fill the each mold with a spoonful of yogurt. Evenly distribute the fruit as the next layer. 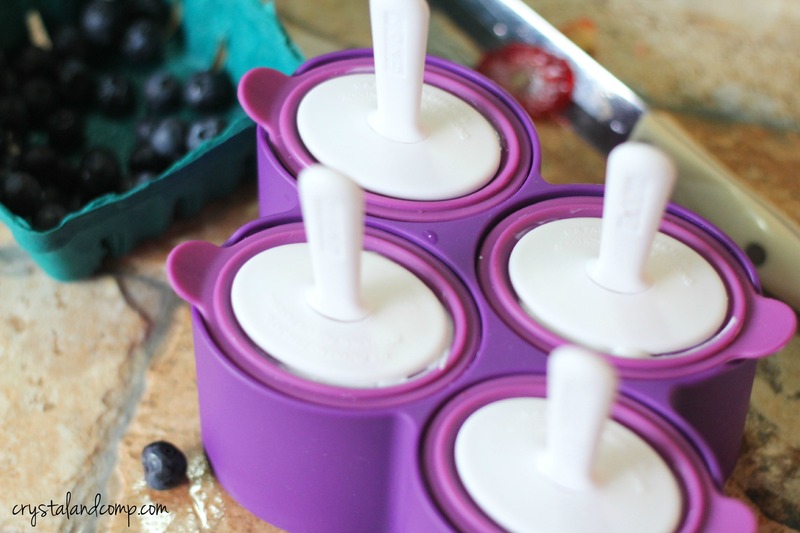 I did one tablespoon of blueberries in each mold and half of a diced strawberry in each mold. Then top with another layer of yogurt filling the mold up to the fill line. Pop the assembled sticks and drip guards into the molds and place the entire ensemble into the freezer over night. Once they are frozen, you will peel back the silicone mold and there is your frozen pop! Look at how delicious they are! You could honestly change out any of the fruit you want. If you’re wanting to stick to a red, white and blue theme you could change the strawberries out for raspberries and the blueberries for blackberries. 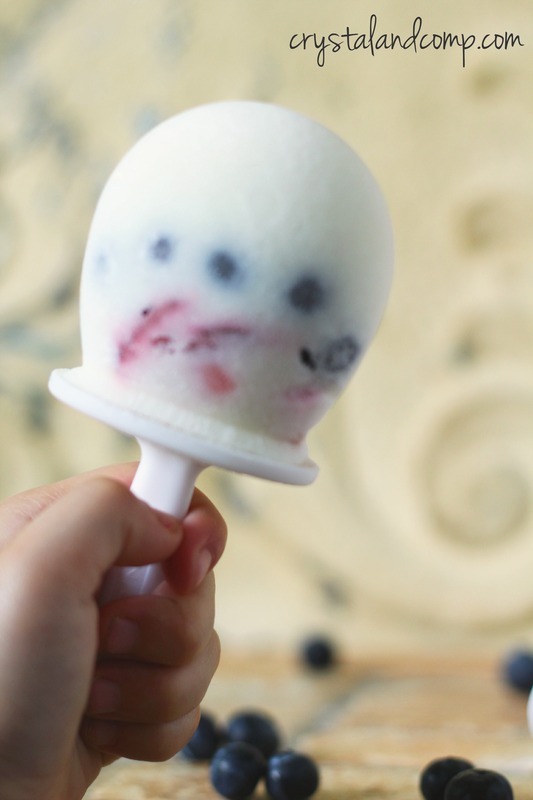 Isn’t it super easy to make fruit popsicles? Grownups and kids love these. Sarah Washburn recently posted..Ain’t You Glad You’re Single?